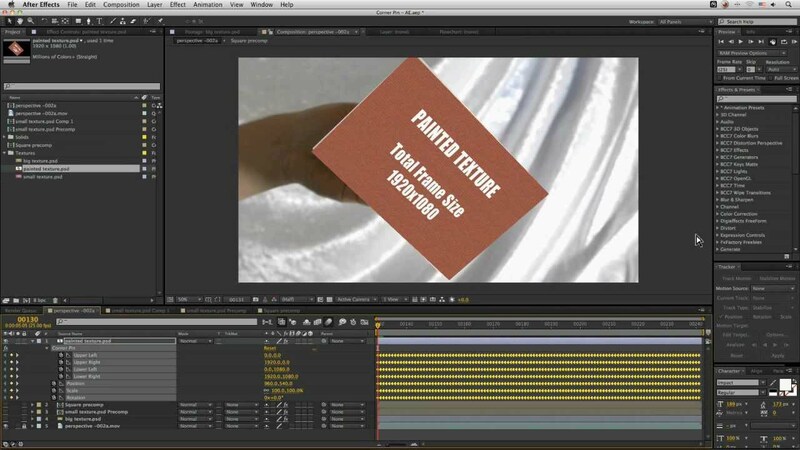 There are a number of different ways to use corner pin data out of Mocha and in After Effects. In this exercise we look at three of them; raw corner pin data, corner pin data with motion blur and corner pin data offset with Align Surface. The techniques shown here solve the most common problems people face bringing corner pin data in. We see how to deal with footage that is a different size or aspect ratio than our main composition. Plus how to use the Align Surface technique, which is useful for rig removal and background clean- up.